GroupGSA is hoping to achieve a 6-star green interior design accreditation for its design of the University of Technology (UTS) Institute for Sustainable Futures (ISF) facility. The firm was engaged by UTS and the institute to redesign its offices in a way that would reflect its sustainable values. According to GroupGSA, the challenge was to overcome an irregular L-shaped floorplate, outdated services and constrained ceiling space with the aim to achieve an Activity Based Working (ABW) 6-star accreditation for the interiors. 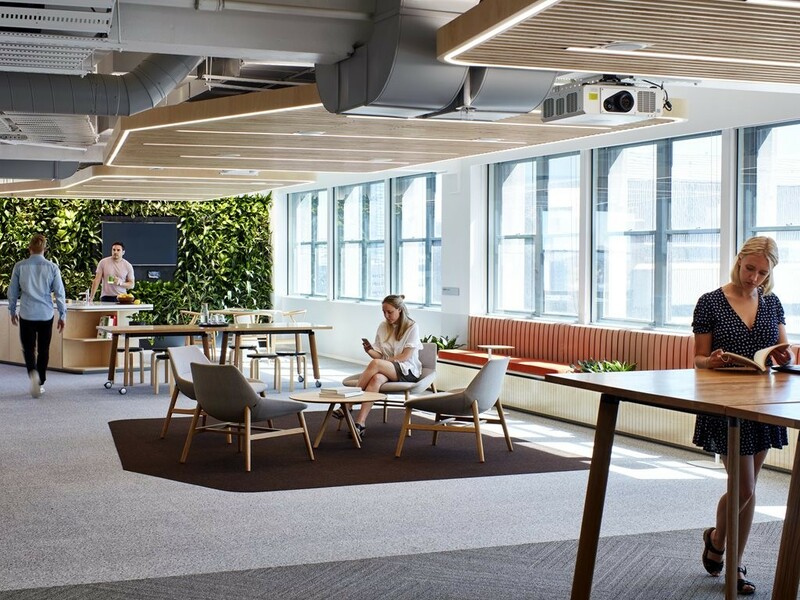 ABW design principles were used to help foster a more open and collaborative working environment in a workplace where enclosed offices were the norm. “The final result has been an amazing outcome for ISF,” says UTS senior building information office/project manager, Bryce Hutchinson. The result of the redesign is a campus benchmark workplace that is more closely aligned to the ISF brand, according to the institute. The permeable environment now promotes and amplifies natural light from the perimeter to the core of the building, illuminating a diversity of spaces designed to support different ways of working and collaboration. Zoned areas include ‘collaborative’ for shared and noisy work to ‘silent spaces’ for concentration and contemplation. A central hub features flexibility to support a dynamic and modular environment for events and town hall meetings. Feedback on the ISF’s new work environment has been so positive that the university is now considering rolling out GroupGSA’s design campus-wide. Throughout the design process, GroupGSA collaborated with Shape Construction, Evolved Engineering, Taylor Thompson Whitting, Philip Chun and Umow Lai.